A vehicle is waiting at a red light when a cyclist stops on the right. When the light turns green, the driver of the vehicle takes a right, running into the cyclist. To make yourself less likely to be involved in this kind of accident, avoid the vehicle’s blind spots. Stop slightly ahead of the vehicle or directly behind it. Do not try to get ahead of the vehicle when the light turns green. A driver is traveling faster than the cyclist and passes him or her. The driver then suddenly turns right across the cyclist’s path, causing the cyclist to crash into the side of the vehicle. To avoid this kind of accident, you should take the lane so that you are more visible when you approach an intersection where right turns are allowed. You should also avoid riding on sidewalks before crossing streets, because this makes it difficult for drivers to see you. A cyclist passing a slow-moving vehicle or another cyclist on the right side when a car suddenly turns right, causing the cyclist to collide with the vehicle. Avoid this kind of accident by not passing cars or cyclists on the right. 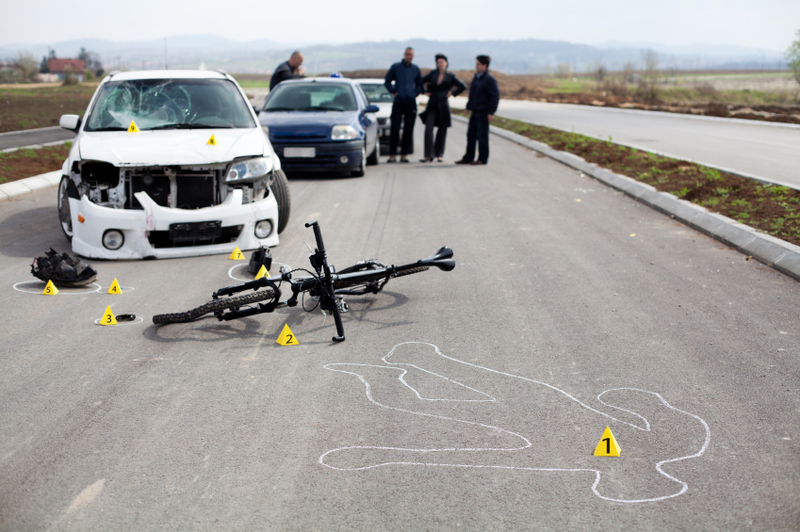 If you have suffered injury in a bicycle crash in San Diego, our personal injury law firm can help. As avid cyclists ourselves, we understand the dangers that face cyclists on California’s roads. We will use our experience to help ensure that you receive the maximum possible recovery for your injuries.